According to Aberdeen Group’s research study, “companies using marketing automation receive 53 percent higher conversion rates than non-users and an annualized revenue growth rate 3.1 percent higher than non-users.” Businesses notice the value of this technology and are taking advantage of its benefits to deploy successful campaigns. Marketing automation helps companies increase workplace productivity by effectively eliminating repetitive manual processes with an automated solution-oriented substitution. Then, human error becomes less of an issue with these routine tasks. Moreover, Gartner Research “predicts by 2020, customers will manage 85 percent of their relationships directly with companies without human interaction.” Thus, requiring efficiency in how we interact with our prospective clients online. Marketing automation strengthens customer relationships, scales marketing campaigns, and gives businesses a competitive advantage. 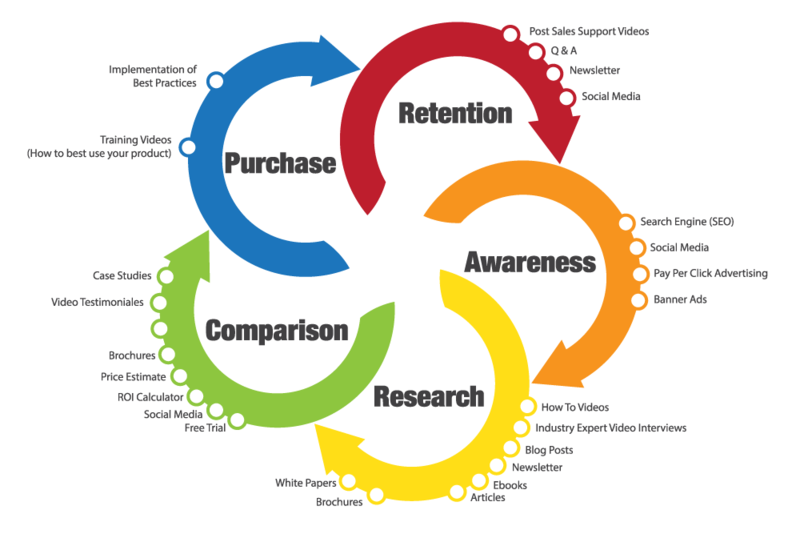 It makes it easy to integrate lead generation efforts to create a manageable sales cycle. Save your company time and resources by automating lead nurturing programs and creating convenient drip marketing campaigns. Marketing automation does the habitual tasks, while your marketing and sales team can focus on more complicated projects. Let’s explore the benefits of marketing automation, the strategies you can implement, and the results achieved from forward-thinking companies. Based on the study “Marketing Automation Strategies for Sustaining Success,” 91% of successful users believe that marketing automation is “very important” to the general success of their marketing. 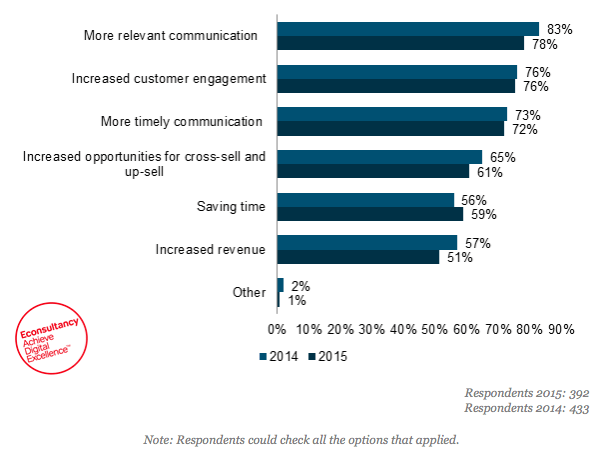 Companies perceive more relevant communication to be one of the main benefits of marketing automation, followed by increased customer engagement and more timely communication. Back in the day, a customer representative’s job duties included following up with all leads that entered the sales system. Now, marketing automation software can identify leads that are qualified and ready to be approached by the sales team. 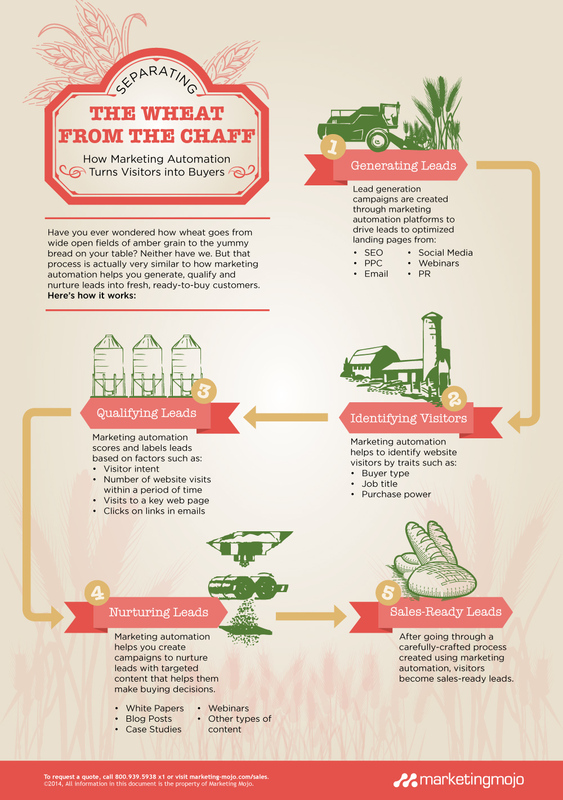 This technology eliminates the time spent on unqualified leads. It brings valuable insight to help your team members understand the needs and wants of the customer. How did they learn about your services? How did they land on your website? Which email newsletters have they subscribed to? Ever desired to align your sales and marketing goals? Well, here’s your opportunity. Marketing automation makes it easier for your teams to collaborate and focus on the customer life cycle. As a result, you can create targeted buyer personas, content, and programs, leading to a more effective process for closing sales. If your desire is to maximize conversions through cross-selling and upselling opportunities, marketing automation reports offer analysis of customer data. When customers are more informed–receiving the right information at the right times–they are more likely to spend more. Businesses mastering this process “generate 50% more sales-ready leads…[and] at a 33% lower cost per lead.” Therefore, companies receive higher revenues, while cutting marketing overhead costs. Just because customers don’t purchase today, doesn’t mean they won’t ever buy your product or service tomorrow. Let marketing automation revitalize previous leads that have gone inactive. Through retargeting email campaigns, automation can periodically send informative content to leads that previously went cold. LinkedIn highlighted a list of the hottest skills in 2014, where statistical analysis led the pack and business intelligence held the sixth spot. Marketing campaigns rely on these talents to gain insight on user persona. Without market research and real-time prospect tracking, we wouldn’t gain accurate information to customize the customer’s buying journey. Learn what your customers are clicking on. Improve your engagement rates by building upon what’s already working in your marketing strategy. Custom redirects let your employees see which links are receiving the most love and which ones are being ignored. Use this data to develop content and campaigns that will resonate with your prospective buyers. One of the most effective marketing strategies is to create and deliver personalized experiences to customers. Personalization involves really getting to know your customer behaviors to execute content that is relevant and meets your client’s preferred timing and mode of communication. To create effective, personalized follow-up sequences, understand the specific interests of your customer and the customer’s stage in the buying process. Drip campaigns let you set up a series of timely emails to your audience. Case studies reveal a 98% conversion rate from these types of campaigns. These targeted communications educate your clients about product benefits and features, welcome incoming customers, and warm up new leads. When setting up your drip campaign, remember to measure engagement and know the best time to engage directly. Lead scoring can help you automate the perfect time to do so. When executing your marketing automation strategy, remember that success takes time. Don’t expect a huge jump in productivity in one week. Technology doesn’t automatically mean success. How your team effectively uses the software will produce the results. Cincom Systems is an enterprise software solutions company. It’s challenge was identifying newsletter subscribers in the sales process. With the help of Eloqua, Cincom launched a five-phase, behavior-based content campaign. Phase 1: When a newsletter subscriber clicked through to an article, Eloqua would grab their information and begin to track them. Phase 2: Tag each article by subject matter. Then, use these tags as signals that subscribers may – or may not be – interested in Cincom. Phase 3: Conduct content audits that analyzed Cincom’s newsletters, website, blogs, ebooks and podcasts to look at what content worked best for their readers. Phase 4: Gain a better picture of their readers through progressive profiling. Phase 5: Pursue those leads based on the information that had been gathered. 256% improvement in the campaign open rate. Paper Style offers personalized invitations and announcements for special occasions. The company’s open and click-through rates suffered because they were sending the same message to visitors, despite their demographic or specific interests. SilverPop helped walk Paper Style through segmentation of the wedding planning process. 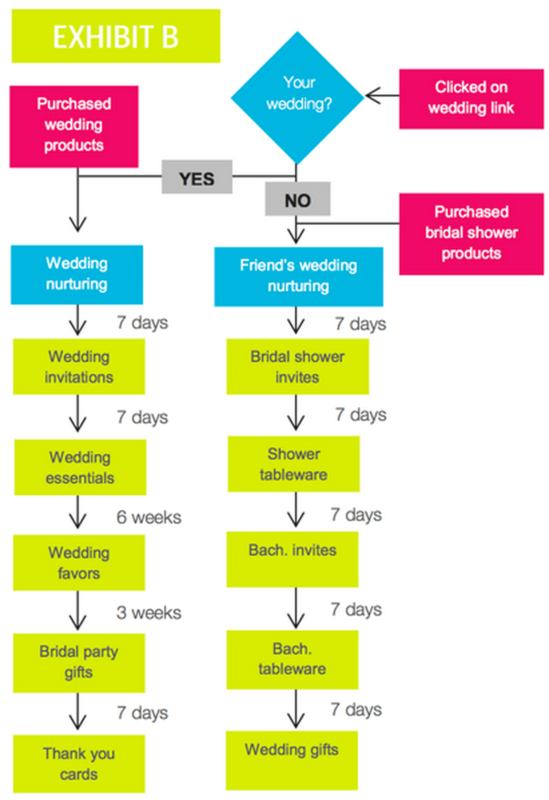 First, they created a typical timeline of a bride’s buying behavior. For example, assuming brides would more likely buy wedding invitations before thank you cards. Once a bride entered their sales funnel, a series of messages were sent to identify whether the person was a bride or a friend of the bride. This simple question determined which sequence of emails the individual would receive. Changing from a generic newsletter to personalized marketing automation produced amazing results for Paper Style. Their open rates increased by 244%, email click rates by 161%, and their revenue per mailing increased by 330%. Marketing automation works to automate your communication programs. It integrates key elements of marketing into one system. Making it easier to create timely, structured campaigns with all of your prospects. Now, your marketing and sales teams can automate and optimize your programs from initial contact through the entire sales process. Prioritize your outreach. Streamline the process. Boost conversions with marketing automation.